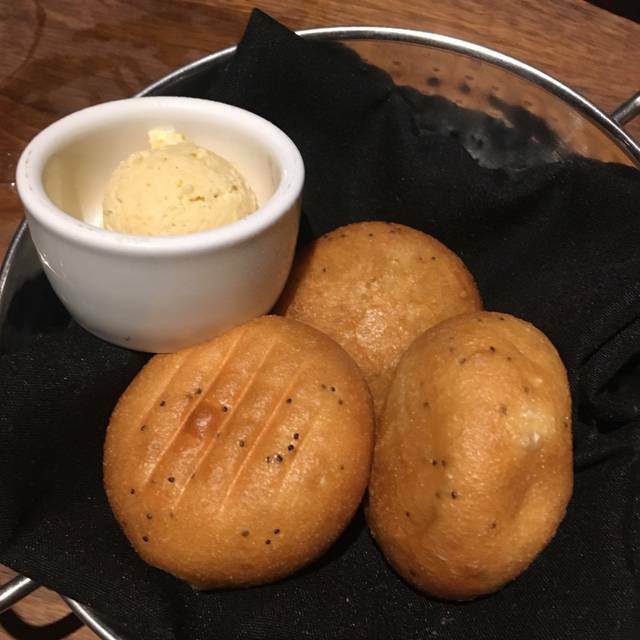 You must make reservations at least 5 minutes in advance of the time at Stoney River Steakhouse and Grill - Chesterfield. Server was good. Filet was over cooked and dry. 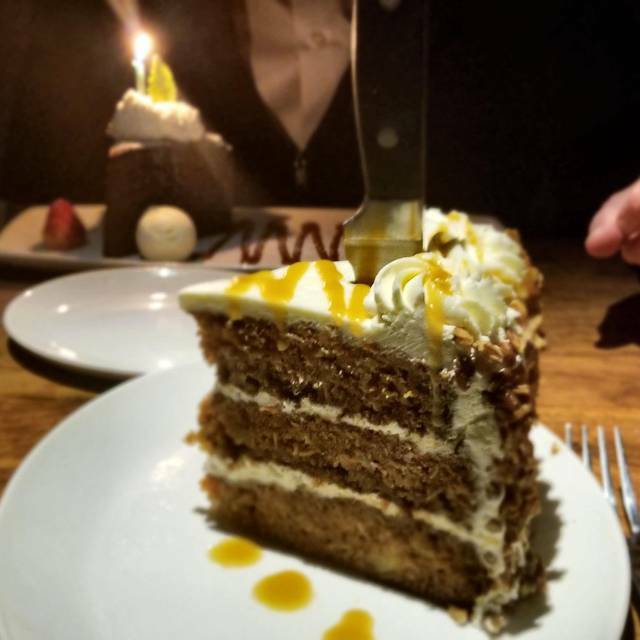 We always enjoy our visits to Stoney River. Service and food are excellent. Hosted my Mom's 90th birthday party for 20 there in May 2018 - we couldn't have been happier with the evening. Private room, they arranged for the table flowers, food was great - everything was spot on. We are fans of Stoney River!! The Easter Brunch was wonderful. Recommend the steak eggs benedict! Amazing place! 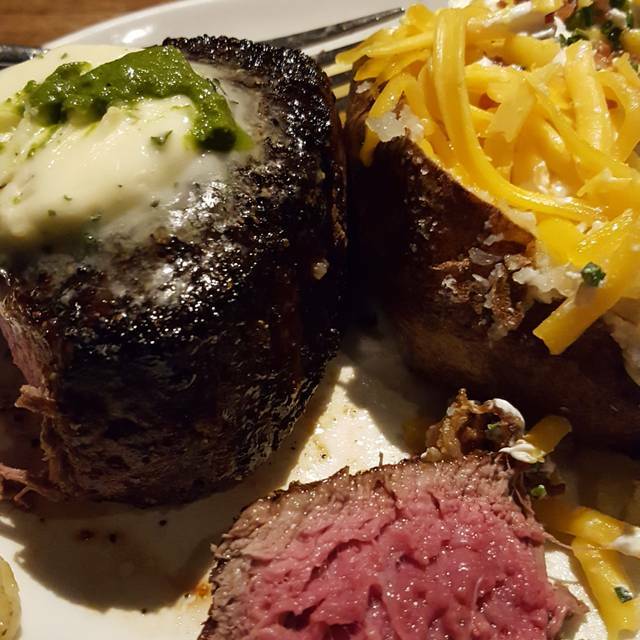 Arguably the best steakhouse in service with incredible ambiance and impeccable service. Very nice restaurant, good food, moderately priced. The steaks are excellent. Good service. We plan to be back soon. Our server Bailey was fantastic!!! Stoney is one of my go to places in St. Louis. Unfortunately, this most recent meal was a bit underwhelming. I hosted a business dinner and each of the four people in my party ordered steak. Each steak was cooked to the wrong temperature. No one at the table complained until the end of the meal and the server was extremely gracious but we chose not to send any food back. As usual food was great, service excellent and all for a very fair price!! We went for my birthday dinner and the food was excellent! Our service was great and they even gave me a birthday note and dessert. Would definitely go again. Great experience, as always. We keep referring people and are never disappointed. Simply excellent cuisine and outstanding service by servers, hostess, managers, chef. The restaurant was full of people enjoying themselves and, at times, the atmosphere got pretty noisy. Otherwise, a perfect special occasion dinner experience. Food is very good. Way to loud. Ambience left much to be desired. It was our Anniversary and I could not even hear my husband across the table. Could not even hear the waitress. Great food but seated in a poor location especially since restaurant was not at all busy while we dined. Our server did not offer any information on specials...we overheard him telling another table after our order was placed. The staff was very accommodating! We asked to be seated in a quieter section and they were very gracious! The food was really enticing. We loved the steak rolls (A+++) The filets ordered medium were very salty and crunchy on the exterior but incredible flavor! I would ask for low salt on the filet next time though! Creamed spinach is your best option for a side, incredible with steak, also had the wedge salad-perfect! The mashed potatoes were nice but creamed spinach is better!!!! Our waitress was super sweet! We loved our special meal. Mom and son time! Absolutely amazing! Perfect date night! The food, the atmosphere, all of it! Just perfect! The service was as outstanding as the food. The delivery of the food was fast too. Had a great birthday dinner date. Food was tremendous. 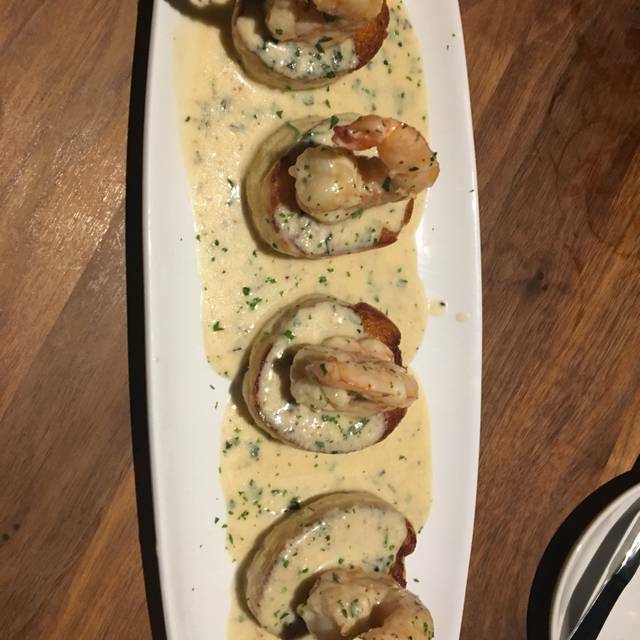 The whiskey river shrimp was a true stand out appetizer. 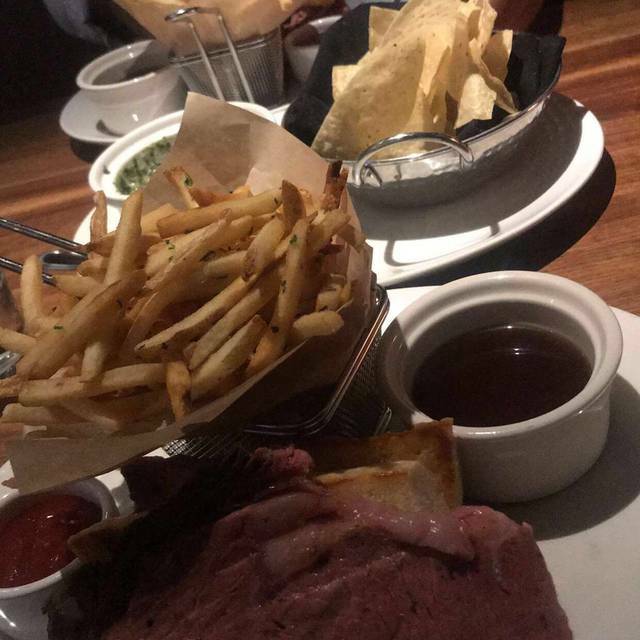 The prime rib was delicious as always. Stoney River always gives great service and I never have anything to complain about. He had Kate as our waitress and she was the absolutely the best server. We have been there before but Kate was exceptional attentive and very knowledgeable about the menu. I don’t have a single bad thing to say except we were so stuffed I couldn’t even think to look at the menu. *Next time I will order this ahead so I won’t have this problem again. This was our third time at this establishment and it remains as great service and many compliment to the chef! One of our favorites thus far! 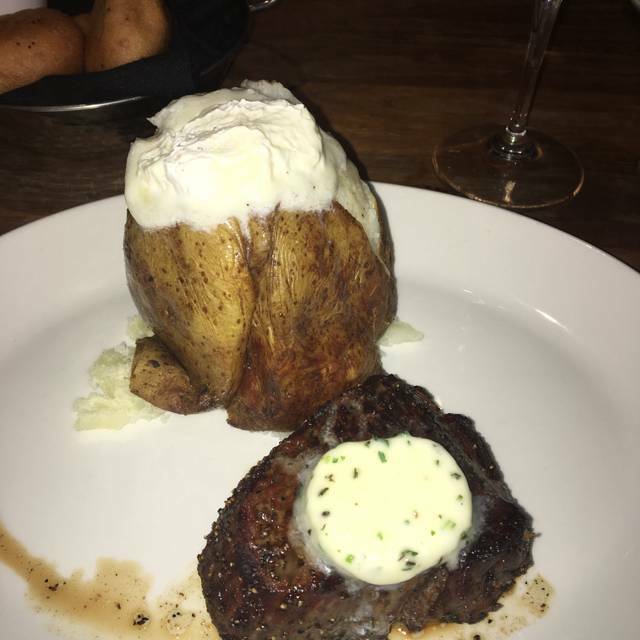 I have been here many times and it continues to rank as one of the best steakhouses in the St. Louis metro. 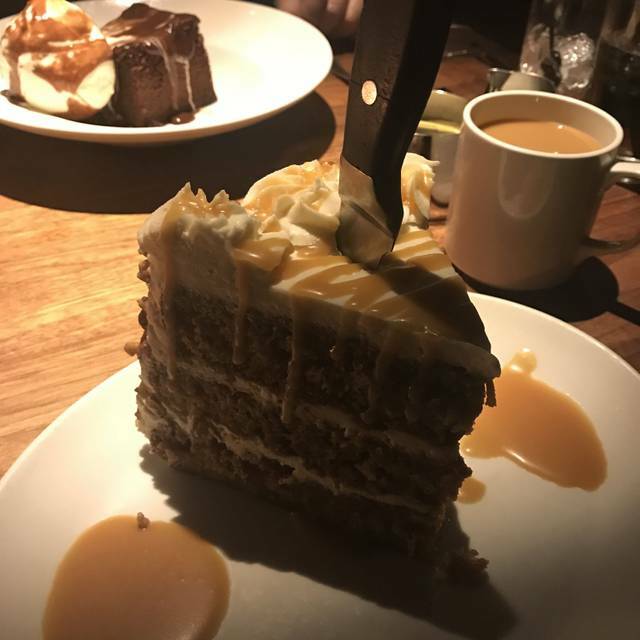 At my list visit, my party was seated right on time and the food and service were great as usual, but the music was turned up louder than I had previously experienced at Stoney River. It was difficult to carry on a conversation and detracted from the overall dining experience. Really good cheeseburger and fries with nice glass of Cabernet! The steaks were superb. I had the medallion trio and would definitely order again. Service was great. We spent almost 5 hours at our table and no one tried to rush us into leaving. Chelsea was great, as was all of the wait staff. We have a few food allergies and their focus and detail was great. Stoney River is a excellent restaurant for couples to have a romantic dinner. My wife and I have been going to the restaurant for our night out off and on. One Anniversary we stayed at the adjacent Hotel and had our dinner at Stoney River. That was out first experience. Now we continue to go on our night out from time to time. 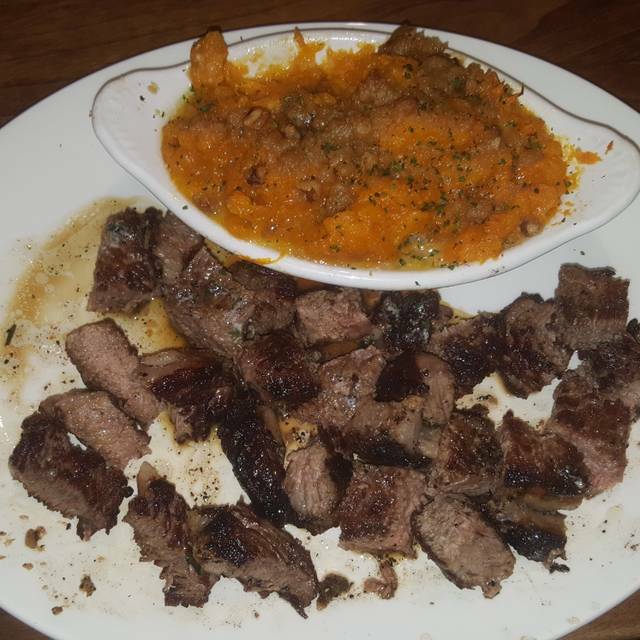 The food is prepared with excellence. We've been there several times and as always it was great. 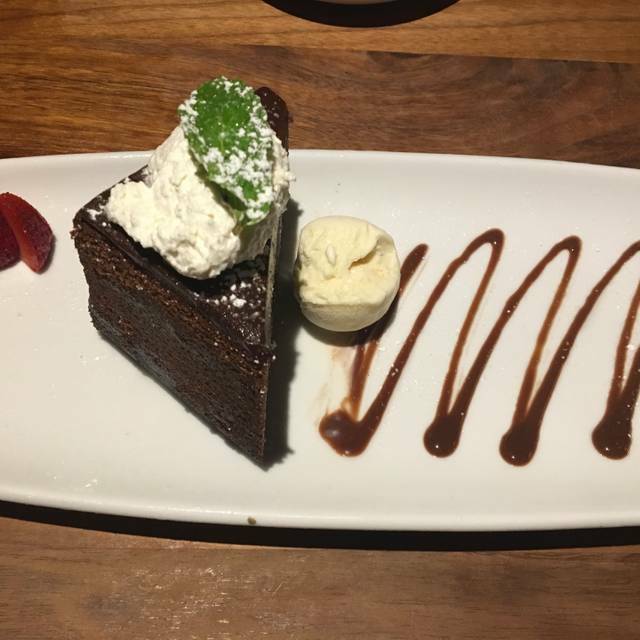 Key lime pie was tasty, the Chocolate cake was killer and the service fantastic. Love the atmosphere and the food is delicious. Hadn't been for quite some time and was pleased we were able to get in. There was quite the crowd, but service was great and food was outstanding. We had a good dining experience because our son turned 30 years old at the time. The food was good but very expensive. I offered to pay and after a few discussion, my husband decided to keep quiet about it and I paid. I was nearly floored by the over $200 bill! For 3 people? So you can already guess that my husband and I may be retirees but we are not by any means, financially rich. We can afford and for a good occasion like that, it was worth it...still for me to shell out ov $200 for three people is just not on! In short, the company was good, the occasion was good, our relationship with our son was good, the service was good too but the food were all too salty. It could have been better. What a waste of very nice pieces of thick steaks! By the way, we ordered boned-in cowboy steaks, Jumbo Fried Shrimps and Steak Medallion or something like that because they do not have the Paneed Trout. We certainly want to come back there but not for the overly salty food. Sorry...it was a nice experience though. Trying out a new place in St. Louis, got this advice this week through Open Table, and it was all worth it. Great food, good wine and fabulous dessert...only missing Licor 43... instead Remy Martin XO... for me another big experience. Hostess staff extremely friendly, Bartenders were amazing, Waitress was very knowledgeable and kind. The food was delicious. Overall amazing experience will definitely be returning.